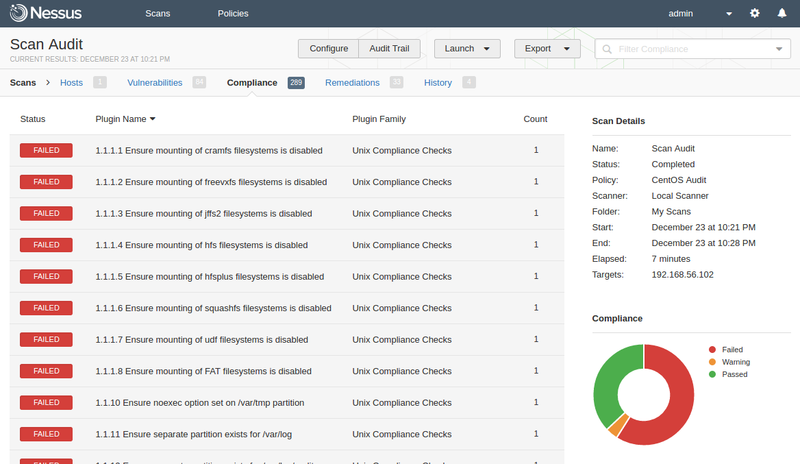 Nessus compliance checks are mainly presented in a form of special .audit scripts. This scripting language is very different from familiar NASL (Nessus Attack Scripting Language). Basically, it is a collection of universal checks for various objects (e.g. existence of the line or parameter in the file, access permissions of the file, service status, etc.). Of course, nowadays Сompliance Management is not only about Operating System and software (mis)configuration. We have different network devices, databases, cloud services, etc. but originally it was the main case. By combining the universal checks any requirement of low-level configuration standard (CIS, DISA, etc.) can be implemented. The similar principles are used in OVAL/SCAP content. This entry was posted in Compliance Management and tagged .audit, 800-171, 800-53, CentOS, CIS, CSF, DISA, ITSG, NASL, Nessus, NIST, OVAL, PCI DSS, SCAP, Tenable on January 3, 2017 by Alexander Leonov. 17-18 November I was at the great event — Zero Nights security conference in Moscow. For the first time as a speaker. Being a part of such famous and prestigious security event was very exciting. There were three of us, Ekaterina Pukhareva, Alex Smirnoff and me, and only 20 minutes available for all. 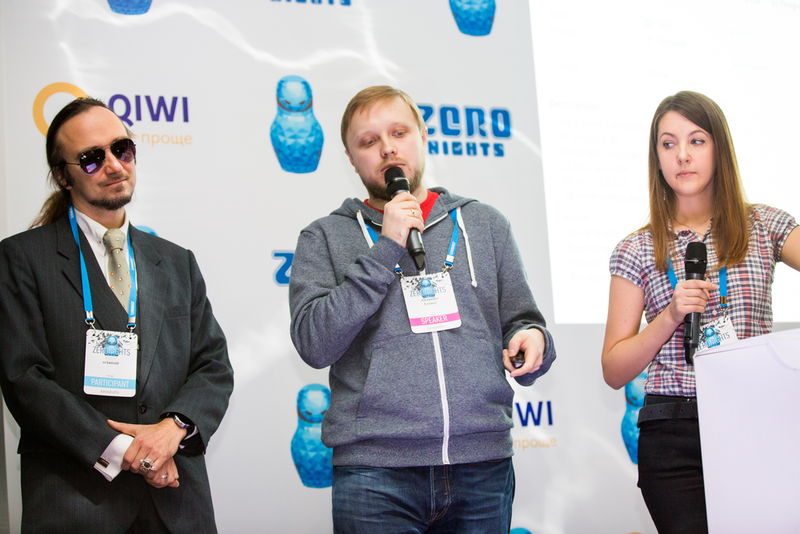 I was talking mainly about VM solution problems and custom reporting/ticketing, Ekaterina shared some experience in using Tenable SecurityCenter for Vulnerability and Compliance management, and Alex was talking mainly about Asset and Risk Management. The first thing to say about Vulnerability Scanners and Vulnerability Management product is that there are plenty of them. On this picture I mentioned some of the products/vendors. Some of them are highly specialized, like ErpScan for SAP, others are universal. Some of them are presented globally: Tenable Nessus / SecurityCenter, Rapid 7 Nexpose, Qualys, F-Secure etc., others are known mainly in Russia: Positivie Technologies Maxpatrol, Altx-Soft RedCheck, Echelon Scaner-VS. Some products are expansive, some of them not and even have versions available for free: OpenVAS, SecPod Saner Personal, Altx-Soft ComplianceCheck, Qualys SSL labs, High-Tech Bridge SSL Server Security Test, etc. In my opinion the main problems of VM solutions are expansiveness and low reliability of the scan results. This entry was posted in Compliance Management, Concept, Events, Vulnerability Database, Vulnerability Management and tagged .audit, Alex Smirnoff, Atlassian JIRA, Ekaterina Pukhareva, hubblestack, Linux, NASL, Nessus, OpenVAS, Positive Technologies, Qiwi, Qualys, remediation trends, risk management, Seccubus, Tenable, vfeed, vulners, vulners.com, zeronights on December 7, 2016 by Alexander Leonov.